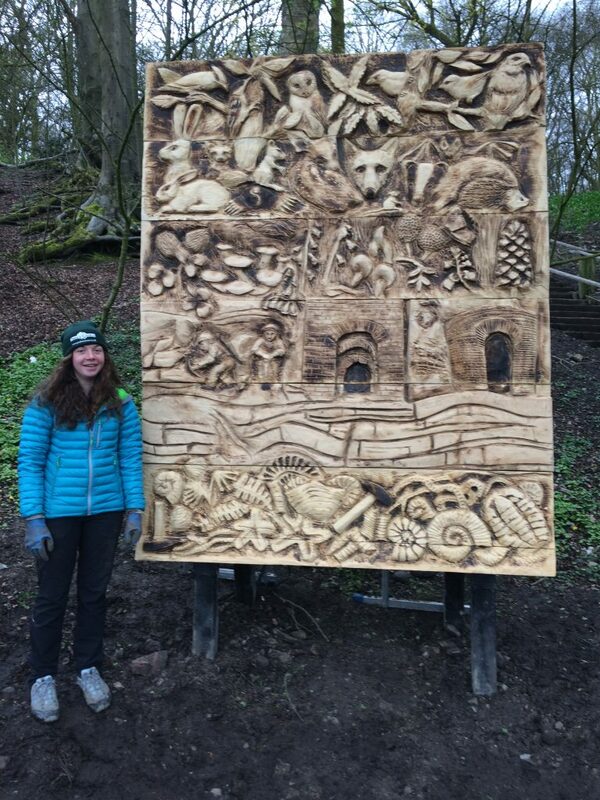 Buxton Country park has a fascinating geology and history. 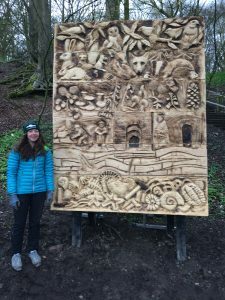 Two new sculptures portray the rocks, animals and plants of Grin Low Hill along with the legacy of the industrial quarrying and Lime burning which created this unique landscape. 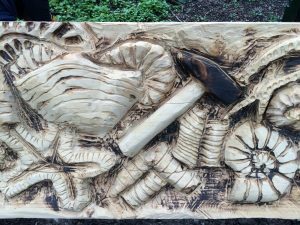 The sculptures were created by Sheffield artist Lorraine Botterill with help from pupils at the local Burbage Primary school. 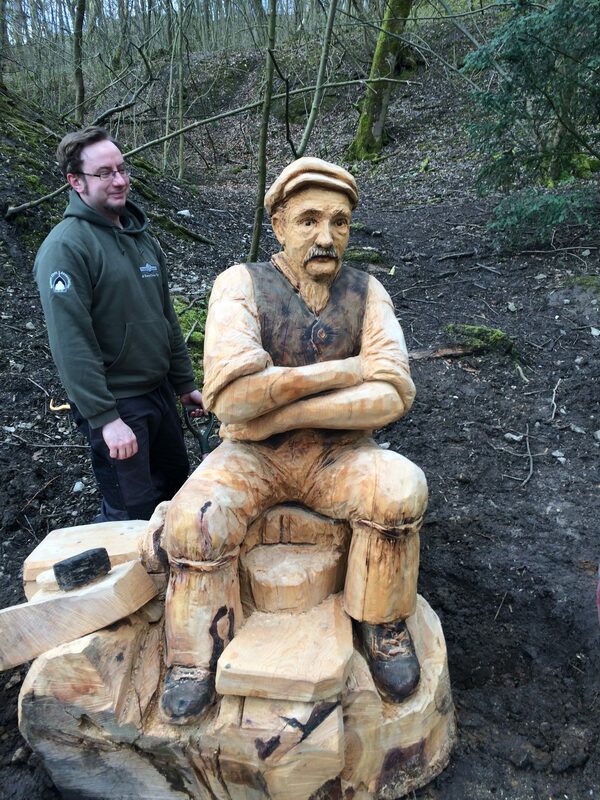 More are planned to create a sculpture discovery trail. 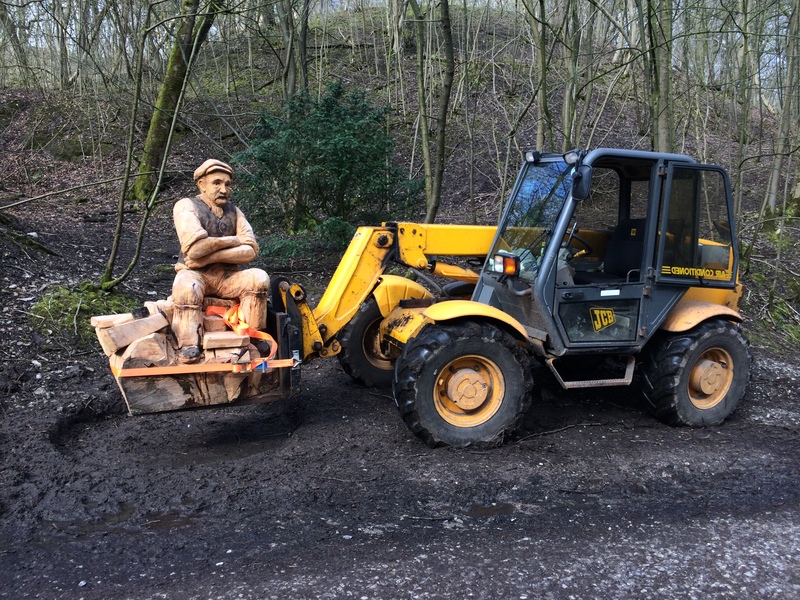 Our quarryman has already become a favourite with woodland users, especially dogs who drop balls and sticks to be thrown.